Breon, Robin. "Donald George and Murray Edward Davis". The Canadian Encyclopedia, 22 October 2015, Historica Canada. https://www.thecanadianencyclopedia.ca/en/article/donald-george-and-murray-edward-davis. Accessed 25 April 2019. Donald George Davis, actor (b at Newmarket, Ont 26 Feb 1928; d at Toronto 23 Jan 1998) and Murray Edward, actor, director and theatre educator (b at Newmarket, Ont 16 Feb 1924; d at Toronto 22 Jan 1997). Raised in Newmarket, the sons of E.J. Donald George Davis, actor (b at Newmarket, Ont 26 Feb 1928; d at Toronto 23 Jan 1998) and Murray Edward, actor, director and theatre educator (b at Newmarket, Ont 16 Feb 1924; d at Toronto 22 Jan 1997). Raised in Newmarket, the sons of E.J. Davis of the Davis Leather Co, the brothers were educated at the University of Toronto where they graduated in 1950 and 1948 respectively. While there, they studied theatre under the direction of Robert Gill at the Hart House Theatre. 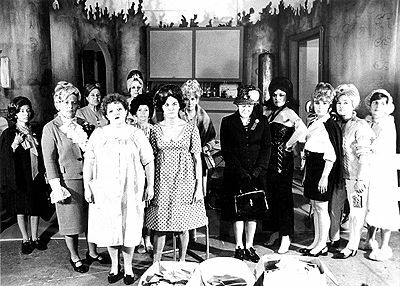 This period saw a host of young talent emerge from the theatre program at the U of T including Anna Cameron, Araby Lockhart, Barbara Hamilton, Charmion King, Kate REID, Don HARRON, Donald SUTHERLAND, William HUTT, Ted Follows and numerous others. Donald Davis made his professional debut in the theatre at the Woodstock Playhouse, New York, in the summer of 1947. The following summer, the Davis brothers founded the Straw Hat Players in Muskoka, Ontario, a summer stock company which went on to local renown. Between 1950 and 1953 Donald acted in Britain with the Glasgow Citizens' Theatre and the Bristol Old Vic. Ambitious to take on greater challenges, Donald and Murray, with the support of their sister, Barbara Chilcott, founded the CREST THEATRE in Toronto in 1953. 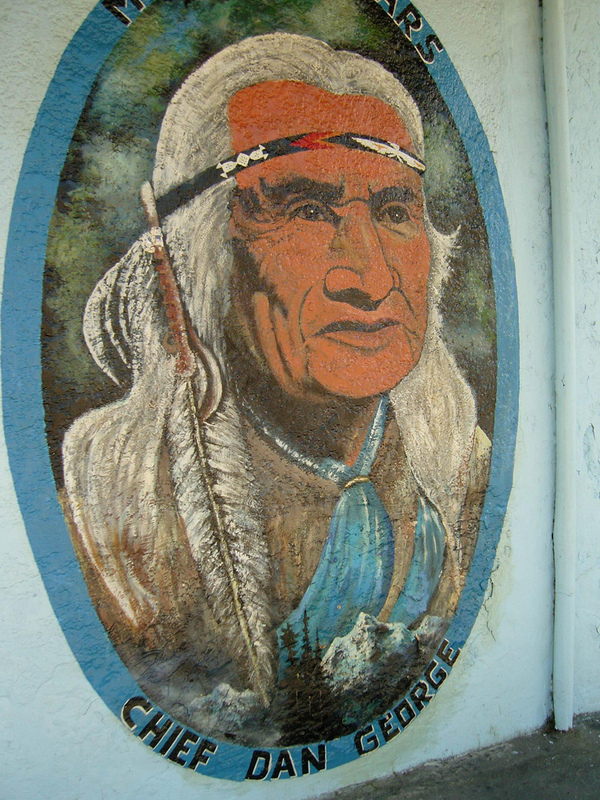 The Crest, which ran for thirteen seasons until it closed in 1966, marked an early attempt to establish an indigenous, commercially viable professional theatre in the city of Toronto. Its opening production (in January of 1954) was Gordon Daviot's Richard of Bordeaux with Murray Davis in the title role. While Murray Davis continued to direct many productions at the Crest, his brother divided his time between their own theatre, the new STRATFORD FESTIVAL (where he debuted as Tiresias in Tyrone GUTHRIE's 1954 production of Oedipus Rex), and numerous radio and television roles at the CBC and in the USA. 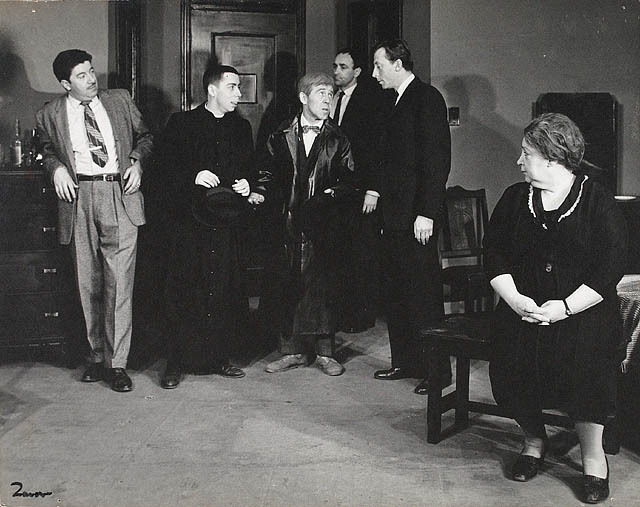 In 1959 Donald Davis left Canada to pursue his acting career in New York City, where he appeared in the North American premiere of Samuel Beckett's Krapp's Last Tape, directed by Alan Schneider. The production played off-Broadway and established Davis as a major interpreter of Beckett's work. With the closing of the Crest Theatre in 1966, Murray Davis went on to teach for three years at the National Theatre School in Montréal before retiring to pursue livestock farming in Ontario. Throughout the 1970s and 1980s Donald Davis continued to enjoy a busy acting career appearing in critically praised productions in regional theatres across the US and Canada. In addition to his roles in the plays of Beckett, he appeared with Katharine Hepburn at the American Shakespeare Theatre, with Judith Anderson in Maxwell Anderson's Elizabeth the Queen, with Elaine Stritch in Edward Albee's Who's Afraid of Virginia Woolf, and in Timothy FINDLEY'sThe Stillborn Lover. The Davis brothers are remembered as pioneers in the early days of professional theatre in Canada whose vision and spirit left a foundation upon which others have been able to build solid careers both within the country and abroad.